As one of the most sought-after landscaping firms in Pennsylvania, we are the best company to hire for any landscaping project. For almost two decades, we have been offering professional services to property owners in Whitehall, Allentown, Easton, Bethlehem, Hackettstown, Stewartsville, Nazareth, Morristown, Flemington, Stroudsburg, and nearby areas. We attribute our success to our bespoke landscape services that cater to the specific needs of our clients. Our brand of service always results in beautiful landscapes that are also functional and sustainable. Please contact us now and let our expert landscaping personnel handle your queries. You may also drop by at our office so we can show you some of our stunning creations. 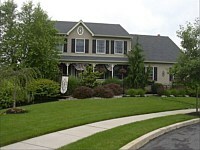 We are the preferred landscape contractor in Whitehall, PA and surrounding areas for our impressive credentials. Our completed projects include landscapes for residential and commercial properties, homeowners associations, and subdivision developers. Most of these projects involve the design and creation of various landscape features and amenities. 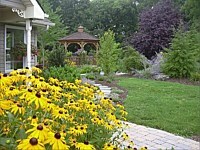 Our creations are some of the best designed landscapes in the state. In fact, a lot of Whitehall residents become our repeat customers because of the outstanding works that we have performed for them. 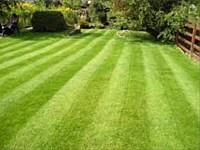 Aside from design and installation works, we also offer lawn and landscape maintenance services. We have residential and commercial clients who have hired us to perform regular lawn maintenance on their properties and tap our services to work on their drainage and irrigation systems. With us, they don't have to look for other service providers since they can get all their needed help from just one company. Our Pennsylvania clients prefer us over other service providers because of our comprehensive service offerings and custom landscaping services. We are probably the only contractor in the Whitehall area that can promise outstanding results at rates that clients can afford. They are assured that every phase of the project is completed on time and handled by expert crews with decades of experience in the field. From design and installation to maintenance works, clients are guaranteed of outstanding workmanship. At TimberRock Enterprises LLC, we have a system that ensures quality output in every stage of the project. We also use proven landscaping methods and techniques to improve our efficiency and provide clients with the results that they expect. Moreover, our customized approach has helped us achieve the kind of landscape that our clients envision. TimberRock Enterprises LLC can handle all kinds of landscaping jobs, big or small. Our portfolio of completed projects includes the installation of expansive lawns in Whitehall and landscape installation in commercial areas. We can easily handle these kinds of tasks because of our complete tools and equipment, available manpower, and ready access to premium landscape materials and supplies. These resources allow us to install various softscapes and water features on our clients’ properties. We also have the capabilities to build hardscape features, shade structures, and woodwork. All these installations are guaranteed top quality and long lasting, so you’ll get the best value for your money. Contact us today at 484-764-7175 and let’s discuss your project requirements.